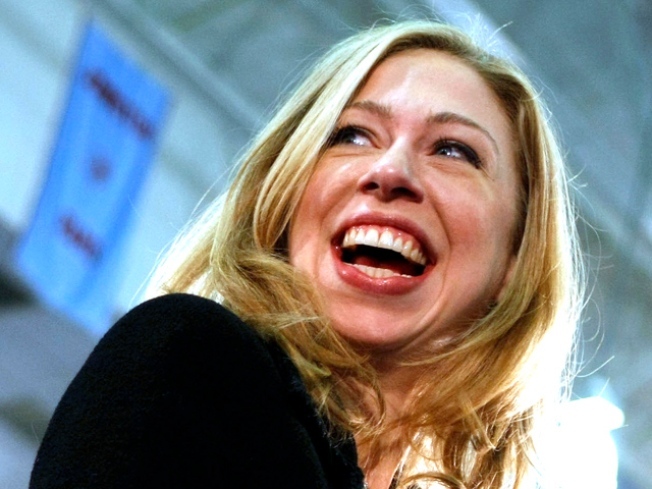 Chelsea Clinton is getting married this weekend. Tongues are wagging — with some salivating and others going “yuck” — over news reports that Chelsea Clinton’s super-secret upstate New York wedding to Marc Mezvinsky this Saturday will feature a vegan menu and a gluten-free cake. The couple will throw at least one bone to meat eaters, though, by serving up some organic grass-fed beef. While all-alternative banquet menus are still relatively rare — caterers say they account for just a small sliver of the pie, or cake, as it were — such requests are on the rise, a trend that is likely to continue in the wake of the former first daughter’s wedding. Chelsea likely chose her menu based on both personal preferences and health needs — she is said to have been vegan since her teen years and to have a gluten allergy — but her wedding menu should have a trickle-down effect nonetheless, says Clerihew. At hundreds of dollars a head, Chelsea’s menu had better be inspired. But even more common folk can expect to pay a premium for such specialty menus, which until now have largely been the province of higher-end caterers in more food-conscious markets. Vegan and gluten-free options can be one and the same, but not necessarily so. Vegan dishes are not simply vegetarian dishes; instead, they do not contain any ingredients derived from animals, including butter, cheese, milk and other dairy products. Gluten, a protein found in wheat, rye, barley and oat products, can trigger allergic reactions in people who suffer from Celiac disease and gluten intolerance. So gluten-free foods are devoid of wheat, rye, barley or oat gluten. The double-whammy of vegan and gluten-free restrictions can certainly make planning a menu — and crafting a cake — a challenge, but chefs and caterers in the know say it can be done successfully and can be well worth the effort. In fact, they say mainstream eaters may be surprised to discover that vegan and gluten-free food can be delicious. Dishes like LeDuc’s signature grilled tofu and portobello mushroom rounds shingled on fresh rosemary skewers served on a summer corn and beaulieu garden sungold tomato succotash can set a banquet table abuzz and have those who ordered the meat or fish asking to switch plates. The experience is so common that her firm routinely makes extra to satisfy all who ask. LeDuc says requests for vegan items are up 15 percent across all types of events since last year. Gluten-free requests have increased from roughly one a month last year to one a week this year. “Three or four years ago, gluten-free wasn’t even part of the conversation,” she says. The trend is not just confined to foodie cities like San Francisco and New York. Jennie Scheinbach, owner of Pattycake Bakery, an exclusively vegan bakery in Columbus, Ohio, says her gluten-free business has exploded. “When we started (in 2003), it didn’t seem like anyone was gluten-free. Now about 5 to 10 percent of our cake business is gluten-free,” she says. Vegan and organic can still be a hard sell in Columbus. “There aren’t a lot of vegans in Columbus, and your typical Ohioan doesn’t get why they should pay more for better ingredients,” says Scheinbach. Still, Pattycake has found a loyal following among people interested in food made with organic, sustainably farmed, fair-trade ingredients. Pattycake uses such ingredients wherever possible, even though with some things costing two or three times as much as conventional ones, it’s not as profitable. “It’s dirt cheap to use crap,” she says. “It’s incredibly expensive to use not crap. We can’t charge the standard markup. It’s just part of the nature of this business.” A wedding cake from Pattycake only costs about 10 percent more than one from competing Columbus bakeries. And then there’s the “mother-in-law issue.” Brides typically seek out vegan or gluten-free because of personal preference or because someone in the wedding party has allergies, but others involved in planning the event sometimes need convincing that an alternative menu is really a good idea. Doron Petersan, who offers free bridal cupcake tastings of confections made with tofu, potato and tapioca starches at her all-vegan Sticky Fingers Bakery in Washington, D.C., says the taste is what ultimately convinces people. “Once people come in for a tasting, about 95 percent of them sign up,” she says.